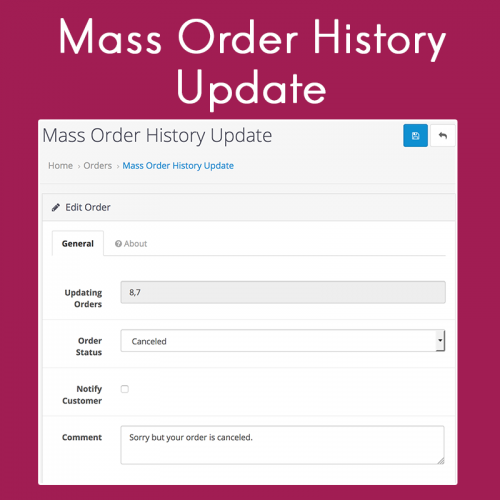 Updating the order history order by order can be tiring. 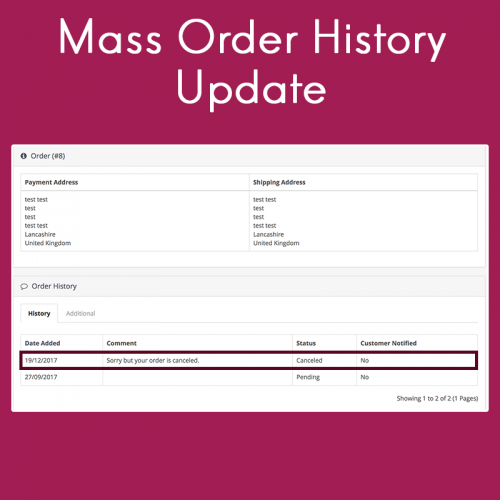 Why not mass update all of them together? 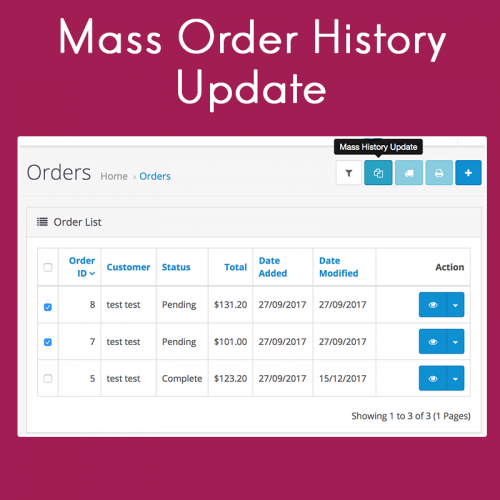 All you need to do is select the orders you wish to update, then in a click of a button, you can assign all the selected orders with the same order history, order status and order comments!